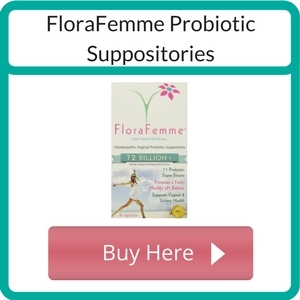 FloraFemme Probiotic Suppositories are a homeopathic remedy that’s supposed to treat and prevent vaginal yeast infections and BV. 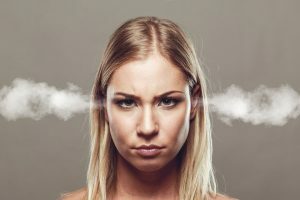 In this article, I’ll tell you why I think this ‘remedy’ is not worth its price and what are better and much more effective alternatives. What is Aloe Socotrina HPUS 4X? As Aloe Socotrina HPUS 4X is the only ‘active’ ingredient in this homeopathic remedy, it’s important to know exactly what it is and how it’s supposed to work. Aloe Socotrina is prepared from aloes. Aloes can successfully treat vaginal yeast infections and bacterial vaginosis dues to its excellent antifungal and antimicrobial properties. But what does HPUS 4X Mean? HPUS means that a remedy has been accepted and certified by Homeopathic Pharmacopoeia of the United States. 4X stands for how many times Aloe Socotrina has been diluted in 9 parts of liquid. After such dilution, it’s difficult to detect any particles of Aloe Socotrina in the prepared remedy, but homeopathy believes that the liquid can somehow remember the properties of the diluted substance (!). Basically, there’s not Aloe in the actual suppositories. The label states that the 11 probiotic strains are inactive ingredients. Inactive ingredients in homeopathy are the ones that are used as fillers to give volume to the suppository. FloraFemme has got no information about the viability of the probiotics it’s supposed to contain and no information about the temperature it should be stored in. Most reputable probiotic product manufacturers recommend keeping their products below 25 degrees Celsius or in the fridge, to make sure they’re alive when inserted or ingested. They’re really expensive. Each suppository will cost you almost $10! They’ve got 41% of negative reviews on Amazon. It’s pretty bad, don’t you think? What Should I use Instead Of FloraFemme? If you want to use probiotic suppositories to treat or prevent vaginal infections, Canesflor is a great choice. you can be sure that it actually contains probiotics in sufficient numbers to support your vaginal health. I don’t recommend FloraFemme because it’s a homeopathic remedy. It means that it’s active ingredient is diluted to a point it won’t be detected in the suppositories. Apart from that, it’s really expensive and each box contains only 6 suppositories. The high number of negative reviews shows that this product simply doesn’t work. Have you ever used FloraFemme to treat a vaginal yeast infection or bacterial vaginosis? were you happy with the results? Please share your experiences and questions in the comment section below.